Don't forget to add a Tactical Patch Backing if you want to attach this to the cap you are ordering. 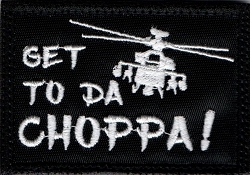 Not just movie fans will love the Tactical Get To Da Choppa Patch. 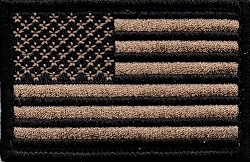 This 2 by 3 inch patch is Tan with Black embroidered letters and a helo silhouette.